When Denver Broncos quarterback Tim Tebow hit Demaryius Thomas on a slant route that turned into a 80-yard touchdown Sunday on the first play in overtime, he not only advanced his team to the next level of the NFL playoffs, but he set a new record for sports tweets on Twitter. According to the microblogging site, Tebow's overtime heroics set a new record for sports of 9420 tweets per second. In setting a new record, Tebow eclipsed the mark of 7196 tweets per second (TPS) set at end of the 2011 FIFA Women's World Cup where the U.S. team lost to a plucky Japanese squad in a penalty kick shootout. 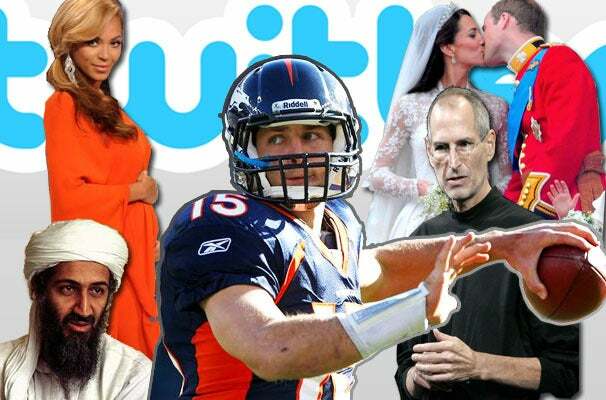 Tebow's Twitter showing also bested some momentous non-sporting events, such as the Royal Wedding (3966 TPS) death of Osama Bin Laden (5106 TPS) and Steve Jobs's resignation from Apple (6049 TPS), and another popular subject: Beyonce's pregnancy at the 2011 MTV Video Music Awards (8868 TPS). During his short time at the offensive helm of the Broncos, Tebow has become known for his providential comebacks and finishes. 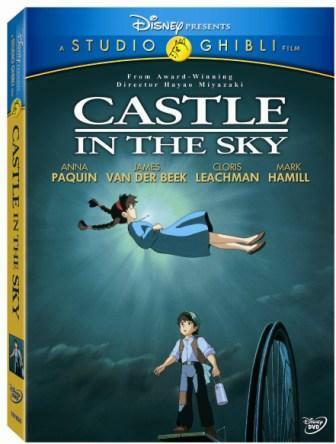 He would really need something along the lines of the "Immaculate Reception" to beat the all time TPS Twitter record of 25,088 set on December 9 of last year when Japanese TV aired Hayao Miyazaki's "Castle in the Sky."